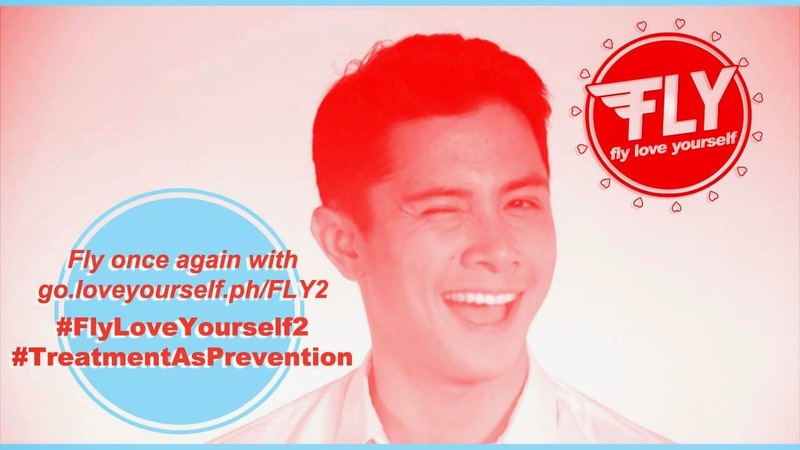 Taking off from the success of LoveYourself's first risque instructional video on HIV, star of stage, screen, and song JC Santos pilots our flight into living healthy with HIV in FLY Loveyourself 2: About HIV Treatment as Prevention. A rising talent from Floy Quintos's play Fluid and Auraeus Solito's film Esprit de Corps, JC is the wind beneath our wings as we learn more about what the virus does to the body, what antiretroviral drugs do to HIV, and how HIV treatment leads to HIV prevention. All heavy topics, but JC assures that we are safe and comfortable through these skies. Joining him on the cabin crew are "I am POGAY" entrants Erimar Ortigas and Kristopher Yasis and a colorful cast of LoveYourself volunteers and friends, here to make your flight as pleasant as possible. Thanks again for choosing to Fly LoveYourself!